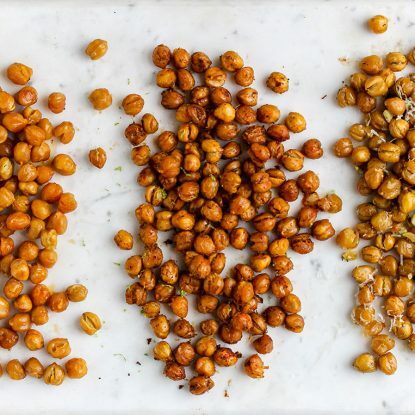 Looking for a quick appetizer or dinner to throw together last minute? 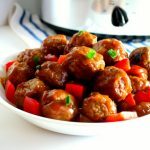 Try my slow cooker sweet and sour meatballs. I bet you already have most of the ingredients! 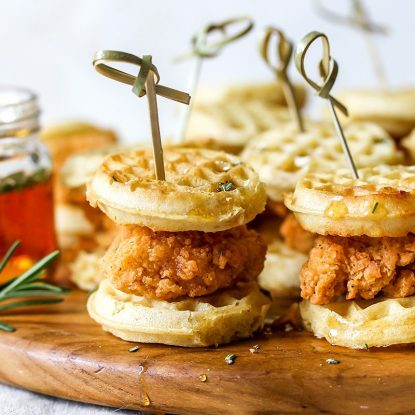 Hosting a holiday party, but in a crunch for time? I’m always in search of short cut dishes that taste delicious, but require minimal effort. 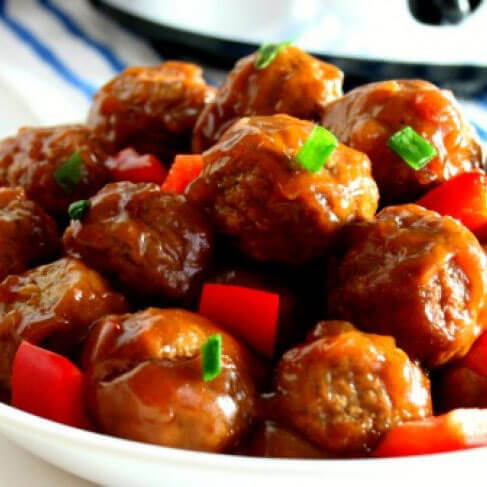 These slow cooker sweet and sour meatballs are the perfect fix it and forget it dish. Simply throw the ingredients in your slow cooker and let it do the cooking for you! I love cooking in my slow cooker. Not only is it wonderful for entertaining, it’s also great for easy week night dinners. 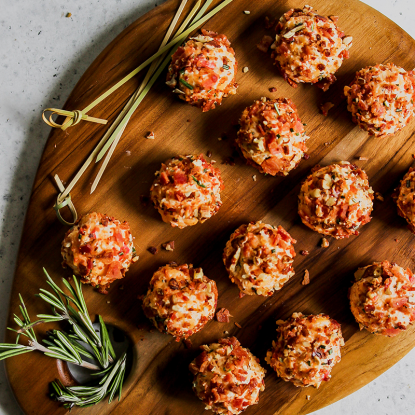 I like to keep frozen meatballs on hand for those last minute parties or the days I just can’t make it to the grocery store. The flavor options are endless! Personally, I like mine sweet and sour style. Most of the ingredients I keep stocked in my fridge and pantry so last minute entertaining is a breeze. 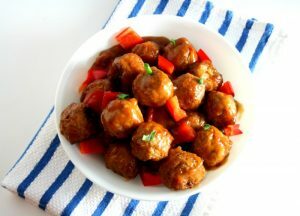 Place frozen meatballs and chopped red bell pepper in a 4-6 quart slow cooker. In medium sized bowl, whisk together all other ingredients to create your sauce. Pour the sauce over the meatballs cover and heat on low heat for 2 hours. Stir and turn the heat to high. 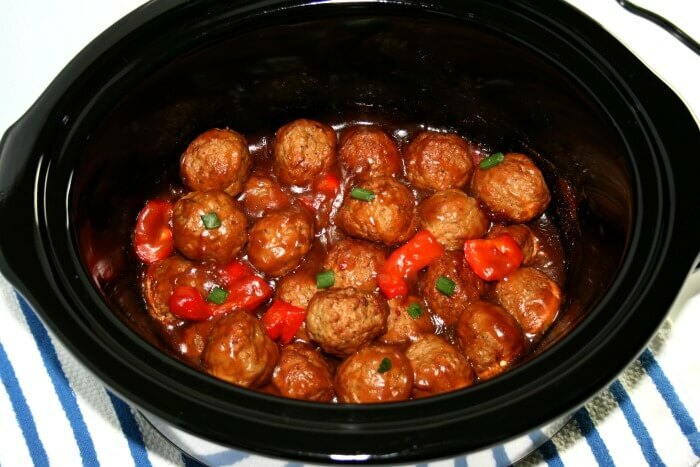 Heat the meatballs for 1 hour to thicken the sauce. Looking for a quick appetizer or dinner to throw together last minute? 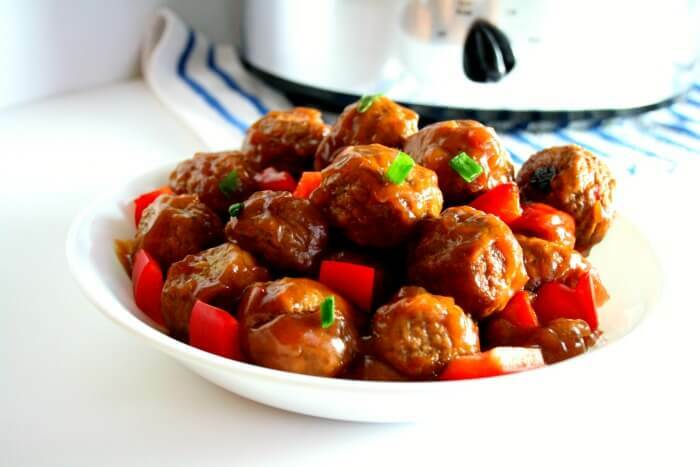 Try my crock-pot sweet and sour meatballs. I bet you already have most of the ingredients!